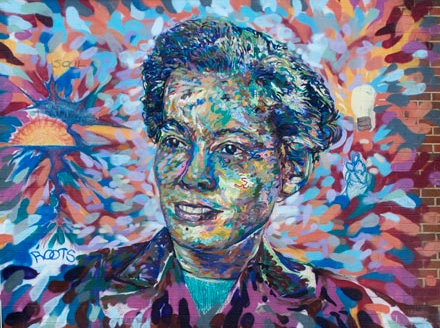 Pauli Murray: An American Life (formerly The Price of Survival) is a feature film in development about Pauli Murray, a leading twentieth century intellectual. Murray advocated the only way to root out inequality was to address race and gender discrimination simultaneously. As a lawyer she is the architect of modern feminist legal theory. As a civil rights leader, she is credited with helping to develop direct non-violent action in the 1930s as a strategy for civil rights that would pave the way for the movement of the 50s and 60s. As a writer and theologian, she has left us with groundbreaking material on American democracy and identity. Murray’s contemporaries describe her as a petite woman, who was brilliant, stubborn, and a fearless debater. Privately, she feared that her cross-dressing and choice of women as romantic partners ruined her professional career, and lived with a constant doubt that she could wind up in a mental institution, like her father did. The film weaves Murray’s diaries, private notes, poetry, and autobiography into a narrative that takes viewers on a journey through the shifting social boundaries and cultural landscape of twentieth-century America, from the perspective of one of our most important intellectual leaders.